China can be a disorienting destination for Western visitors, but Shanghai, with its large expat community and global heritage, is the perfect gateway city for exploring the vast People’s Republic. Expect a delicious mingling of the traditional and modern: not only the best soup dumplings of your life, but home-grown contemporary art making waves on faraway shores. Not only invigorating (and back-cracking) Chinese massage, but elegant afternoon teas in ritzy hotel lobbies to rival Europe’s best. Not only gorgeous examples of Art Deco architecture, but soaring skyscrapers of glass and steel. And yes, there are endless ways to spend money in communist mainland China’s most capitalist-leaning city. Here’s everything you won’t find on your average top-10 list. Seasoned dumpling aficionados are likely familiar with the silken variety of xiaolongbao, or soup dumplings, those delicate parcels of razor-thin, steamed dough that contain slurpfuls of molten, fatty broth. Some of Shanghai’s best are found at Jia Jia Tang Bao on Huanghe Road, where pork and crab varieties doused with ginger-spiked vinegar make for a transcendent dining experience. Despite the spot’s dingy digs — glum, white-tile floor and walls give the place a gym-like quality — a block-long queue snakes out the door at most hours. But save room. Down the street, a fried, doughier variety of xiaolongbao — sheng jian bao — is the specialty of Yang’s Fry-Dumpling. More than double the size of their steamed cousins, sheng jian bao have crispy, browned bottoms and, at Yang’s, an unctuous pork filling. Yeah, you’ll need to wait in another long line, but good things come to those who wait. You have time: The debate that will surely arise after visiting both purveyors — which soup dumpling is superior, xiaolongbao or sheng jian bao? — will likely stretch into the late hours. 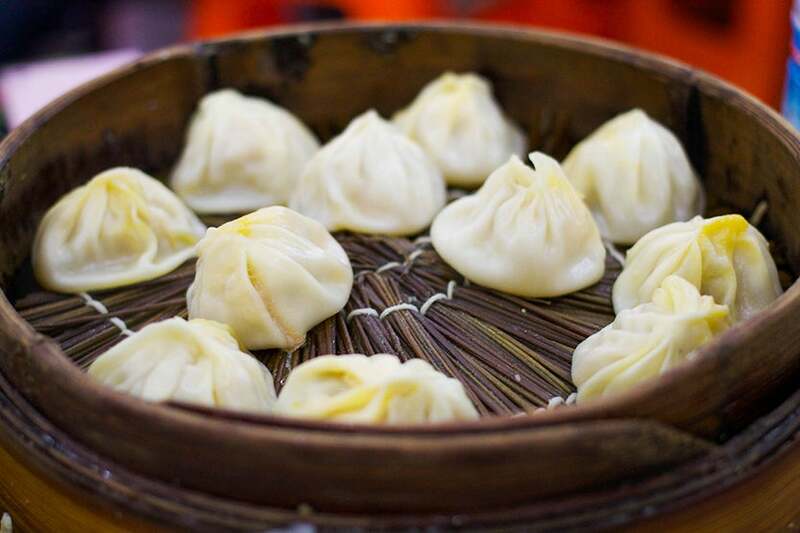 Some of Shanghai’s best dumplings are found at Jia Jia Tang Bao. Photo by LWYang / Flickr. 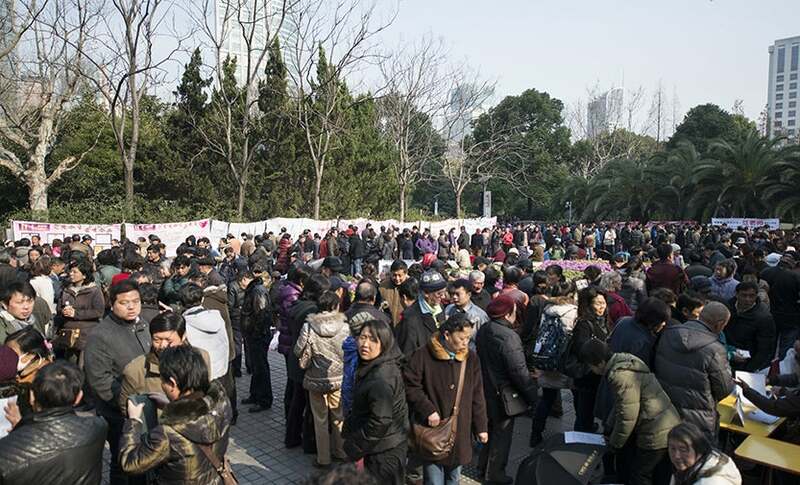 Even if you’re happily paired up, a visit to Shanghai’s so-called Marriage Market is a must. On weekends at People’s Park between noon to 5:00pm, you won’t find the lonely hearts themselves: It’s the parents who come to trade tales of their adult children’s accomplishments in hopes of securing them a match. If it all sounds a bit cringe-inducing, you’re right — parents often come without permission from their child, and the market’s success rate is notoriously low. It’s still a spectacle, though, and key to understanding the mindset of an older generation still clinging to tradition in a fast-changing society. Karaoke is a supremely popular pastime across the Asian continent, and Shanghai is no exception. One of the best places to belt out tunes into the wee hours is Taipei Chun K, a chain of multi-story karaoke halls glammed up with faux marble floors, shimmering disco balls in perpetual motion and retro-style standing microphones. Best of all, its selection of English-language songs is among the best in town, and you won’t be kicked out until well after the sun comes up. Massage parlors are a dime a dozen in Shanghai, which is perhaps why they cost little more than that. For 78 RMB, or roughly $11, you can get an hour-long, full-body massage at the Luochuan Lu branch of the Yitong Zudao massage chain. While not particularly fancy, it more than gets the job done and for a fraction of what you might spend at the ritzier spas around town. Keep in mind that traditional Chinese massage isn’t like the Swedish or deep-tissue styles you’ve likely encountered stateside, meaning that whether or not it feels good is sort of beside the point. A little bit of pain (or a lot, depending on the strength of your masseuse’s hands) is par for the course. Be assured that any discomfort you have will be temporary: Afterward you’ll feel as nimble and spry as a gymnast. If things get too intense, a high-pitched yelp or two transcends any language barriers. There isn’t much of a Jewish community in Shanghai today, but in the 1930s and ’40s, Jews fleeing war-torn Europe came here in droves. At a time when most countries closed their doors to Jewish refugees, Shanghai didn’t even require a visa to gain entry, and with options dwindling, the city’s Jewish population ultimately swelled to more than 20,000. But by 1943, the city had fallen under control of the Japanese, who were allied with Nazi Germany, and the majority of Shanghai’s Jews were forced to cram into a squalid three-quarter-square-mile area in the Hongkou district, which became known as the Shanghai Ghetto. Despite the poor living conditions, though, residents were relatively fortunate. The Japanese never gave in to Nazi demands to deport Shanghai Jews to concentration camps, and they survived the war. 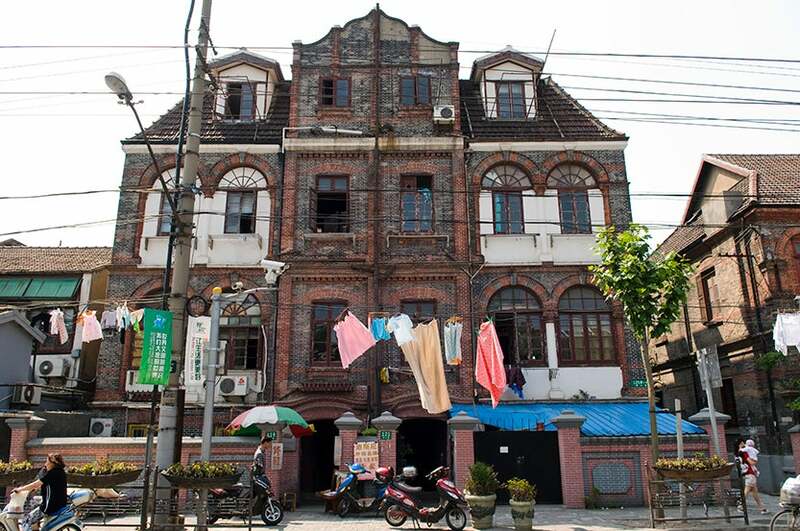 Little remains of the community — most left after Shanghai’s liberation — but the old Ohel Moshe Synagogue today houses the Shanghai Jewish Refugees Museum, which offers a fascinating glimpse into life in the ghetto through the individual histories of 20 Shanghai Jews. Modern art may not be the first thing that comes to mind for the average visitor to Shanghai, but that’s fast changing as the city’s creative forces gain much-deserved recognition around the world. To start, stop by China’s first state-run museum for contemporary art, the Power Station of Art (also home to the Shanghai Biennale), and ShanghART, one of China’s oldest galleries, which has hosted works by modernist painters from Zeng Fanzhi to Wang Guangyi. Smaller exhibition spaces are not to be overlooked, though: Paris-based Magda Danysz Gallery has an outpost here and most recently exhibited fantastical, moody paintings by painter Gong Chenyu. There’s a dizzying, Escher-like quality to Shanghai’s 1933 Slaughterhouse, a former abattoir built, well, in 1933. The hulking Art Deco-meets-Gotham City structure, a monster of concrete, glass and steel, contains a seemingly endless sequence of winding stairs, ramp and bridges, all originally meant to direct the flow of cattle. Today, the building’s purpose is far more benign: Following a pricey rehab after decades of disuse, it’s now a creative hub for design companies, retail spaces, restaurants, galleries and more. The place still retains a desolate, post-apocalyptic quality, though, making it a must-see for urban explorers. Whether it’s the lingering British influence from centuries of trade or the rise of a culinary-minded middle class with money to burn, English-style afternoon tea options abound in Shanghai. The Langham hotel in the fashion-forward Xintiandi neighborhood offers one of the most refined, with unctuous foie gras toast, delicate salmon and crab sandwiches and abundant macarons and éclairs served on elegant Wedgwood crockery. The Peninsula, Ritz-Carlton and Mandarin Oriental also offer exceptional teas that’ll export you in mind, if not body, to Buckingham Palace. Not everything in Shanghai is shiny and new. The seven-story Yunzhou Curio City is the place to find antique goods ranging from vintage teapots to retro posters to jade necklaces. (On bustling weekends it’s the closest thing you’ll find to the city’s now-demolished Dong Tai Road Antique Market, once a slice of old Shanghai and a huge loss for treasure hunters.) For wearable souvenirs, drop by Lolo Love Vintage in the Art Deco French Concession neighborhood for an eclectic mix of global garb dating from as early as the 1920s, and Shanghai Code in artsy Tiánzǐfáng for rows of hipster-pleasing vintage glasses from the 1940s. There’s enough to keep you busy in Shanghai for days on end, but there’s plenty more to see and do just a short distance outside the city. An hour away on high-speed rail to the west, the city of Suzhou is famous for the romantic, lantern-lit canals that wind through its old city. About the same distance away to the south, Hangzhou offers a dreamy natural escape from urban life at its expansive West Lake. Both are excellent day trips; you can be back in Shanghai for a late dinner at Yang’s. Featured photo by Nikada / Getty Images.